A Novice Fillies' Stakes over 5f on heavy going. Ten runners - all debutantes. Just a very quick word about a few as short of time. Annie Duffield goes well at Ripon, a course where she often sends her juveniles for prep-race gallop. Benediction is a daughter of Zebedee and cost 36.000eur. She races in the John Dance silks. Sunhill Stable don't have the best strike rate on debut but they can go well when fancied in the betting. 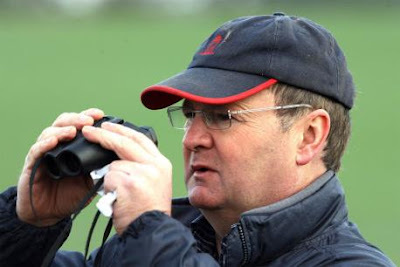 Another trainer who can go well at Ripon is Michael Dods. He was a touch unlucky with potentially smart two-year-old Another Angel earlier this week. *Kazanan isn't the type I would bet at short odds but if double figures could well hit the frame at a price. Bonnie Arlene hails from a stable that can do little wrong this season. As I say there are either easy winners or poor losers. Four Dragons & Coolfitch have fair each way claims. Conclusion: Crazy race in ways with heavy ground making it a difficult race to hold any firm conviction. I like Michael Dods' debutantes at a price if drifting in the market and double-figure odds could well hold each way claims.